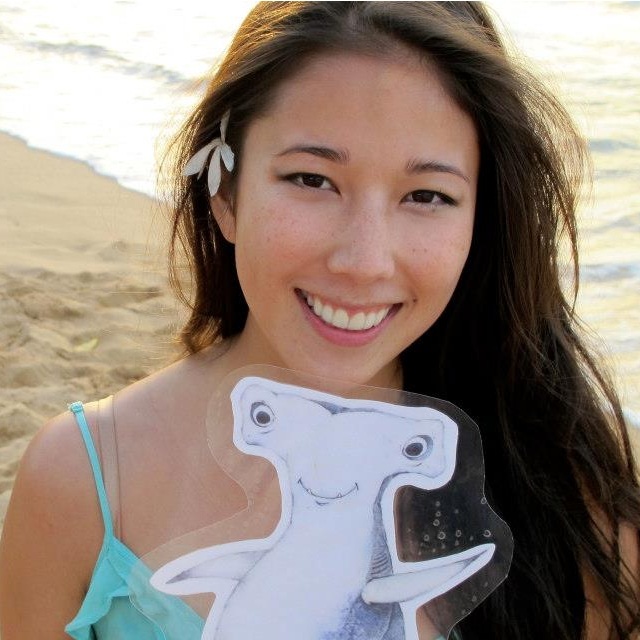 The goal of the Shark Stanley and Friends campaign is to find supporters of shark and manta ray conservation in every single country voting at the upcoming Convention on the International Trade in Endangered Species (CITES) in Bangkok, Thailand and have them take their photos with Shark Stanley, Manta Reina, Pierre le Porbeagle, and Waqi Whitetip. Each photo will represent a ‘signature,’ and we are compiling a petition that will show the global faces of shark conservation to give to government officials voting at the meeting. As of this writing, Onon and I have reached 56 countries, well on our way to 177. We are teaming up with conservation organizations, dive shops, classrooms, scientists, and other caring individuals to advocate for these protections. We hope to introduce many of our partners to you through a series of interviews we are writing for Shark Defenders. When it comes to manta rays, one can’t go very far without coming across the name of Shawn Heinrichs. Shawn is an independent filmmaker and founder of Blue Sphere Media, a production company specializing in underwater, adventure, and conservation films. He also serves on the International Board of WildAid, on the Board of Shark Savers, and is an Associate Director of Manta Trust. I had the chance to catch up with Shawn this week and we talked about his work with manta rays. Leah: You have a pretty cool job, Shawn. How did you get involved in manta ray conservation? Shawn: I have been filming underwater for over a decade and fell in love with manta rays immediately upon my first encounter with them. They are such gentle and graceful creatures, and the connection they make with divers is undeniable. Several years ago I noticed manta rays appearing in shark markets, lined up in the streets and being butchered. This was heartbreaking to witness and I had to learn more, so began a journey of discovery that revealed a growing fishery for mantas. It turns out they are being targeting for their gills which are used as an ingredient in alternative medicine. This long journey resulted in Manta Ray of Hope. Leah: And I understand Manta Ray of Hope has been a driving force behind getting both species of manta proposed for listing at CITES. How will a CITES listing help? Shawn: CITES listings are binding upon the 177 member nations that are party to the treaty. By listing mantas under Appendix II, any member nation desiring to trade in manta products will be required to demonstrate that these fisheries are sustainably managed. Given mantas extremely low reproduction and growth rates, this will be difficult to demonstrate. Leah: Are the proposals going to pass? What kind of support do they have? Shawn: Over the past year there has been a groundswell of support to protect mantas. As awareness builds about their vulnerability and the current state of overexploitation, scientists, NGOs, and individuals are rallying to support them. Currently a growing number of nations are responding to that call and committing their support for the proposals, but we need more support! Leah: So what can people at home reading this do to help? Shawn: Though the CITES voting process sometimes happens behind closed doors by delegates from member nations, there is still an opportunity for the global community to have their voice heard. Anyone who cares, can take their photos with Shark Stanley and Manta Reina and send them to their CITES representatives. Also, after taking their own photos, go help us find people in all 177 countries to do the same.